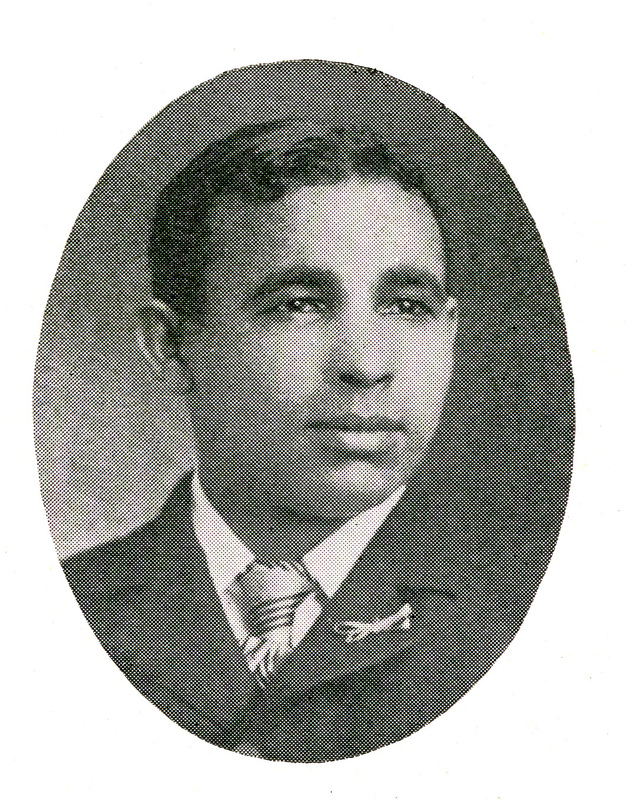 A native of Alabama, William Lane Hood entered Massachusetts Agricultural College in 1899, making him, in all probability the second African American student at the College, following only George Ruffum Bridgeforth and coincident with his classmate William W. Peebles. According to the US Census for 1880, Hood was a resident of Bear Creek, Ala., one of nine “mulatto” children born to Robert Hood, a farmer, and his wife Martha, who “kept house.” Somewhat mysteriously, Hood is listed in MAC sources as being from Birmingham or Vandiver. Like a number of of other early African American graduates of MAC, Hood embarked on a career in higher education after leaving Amherst. Talladega College reported that Hood became an Instructor in Agriculture and Military Science at Sango Baptist College, Oklahoma, in 1905, and as working with the Industrial Missionary Association of Alabama in the next year. MAC reported him in 1916 as teaching at “Creek-Seminole College” in Oklahoma. Although the agent for the Class of 1902 reported no response to inquiries in 1949, he listed Hood's last known address as Mayfield, Ga.